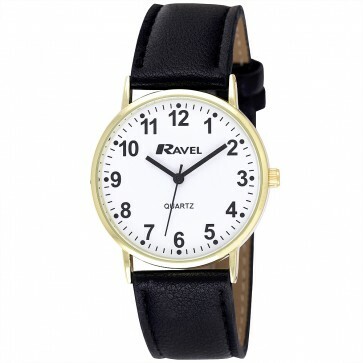 The Ravel Mens R0129N watch is a classic. With it's faux leather strap and clear easy to read dial the R0129N combines basic style, functionality and comfort. Easy Read Bold Numbers Dial.